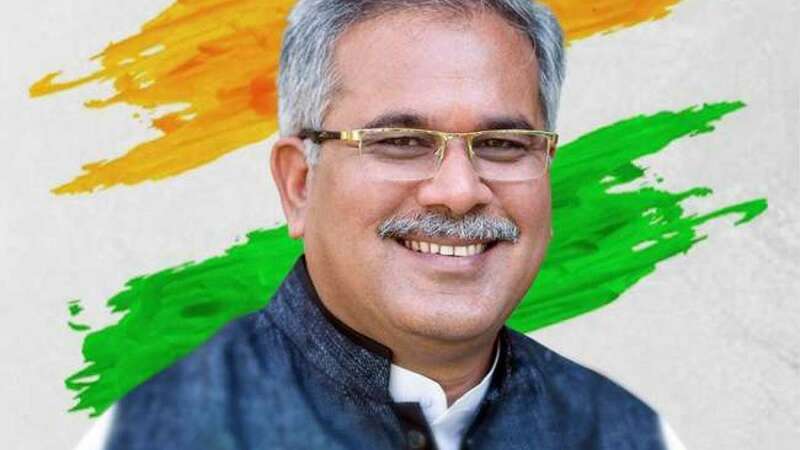 Raipur : State Congress President Bhupesh Baghel was on Sunday named the new Chief Minister of Chhattisgarh and he vowed in no time to cancel within 10 days bank loans taken by farmers -- a campaign promise that led to the BJP's rout in Assembly elections. Shortly after the 58-year-old Baghel was elected the Congress Legislature Party leader by party MLAs, the Congress leader announced that he would take oath as the third Chief Minister of Chhattisgarh on Monday at 4.30 p.m. at the Science College Ground here. Mallikarjun Kharge, the Congress observer for Chhattisgarh, told the media that Baghel was elected unanimously by the MLAs but only he would take oath on Monday. The names of Ministers would be declared later "after detailed discussions with all stake-holders". "I am committed to waiving farmers' bank loans within 10 days," said Baghel, a post-graduate from Pandit Ravishankar Shukla University here and a father of four. He added that the Congress government will unravel the conspiracy that led to the killing by Maoists of top Congress leaders in the Jheeram Valley in Bastar in May 2013 including the then state Congress chief Nandkumar Patel, the veteran V.C. Shukla and Mahendra Karma. In his first tweet as Chief Minister elect, Baghel expressed his gratitude towards Congress President Rahul Gandhi and said Gandhi had given him the responsibility of building "a new Chhattisgarh". "I can assure the great people of Chhattisgarh that the new Congress government would live up to their expectations and wishes." The Congress said on Twitter: "We wish him the best as he forms a government of equality, transparency and integrity starting off with farm loan waiver for farmers as we promised." Baghel is a powerful leader of the OBC community which makes up 52 per cent of the state's 2.55 crore population. The five-time MLA was elected from Patan in Durg district. He was Revenue Minister in Ajit Jogi's first government in Chhattisgarh that was voted out in 2003. Baghel was also in the centre-stage of the ousted BJP government's attacks and was recently jailed for some days in Raipur after he was charge-sheeted by the CBI for his alleged role in the circulation of a sleaze CD against a powerful BJP Minister in Chhattisgarh. He launched his political career in early 1980s from Durg district under the guidance of the late Chandulal Chandrakar. He joined the Youth Congress in 1985 and was elected to the undivided Madhya Pradesh Assembly for the first time in 1993. Hailing from a farmer's family, Baghel is credited with leading the party from the front in the fight against the Bharatiya Janata Party (BJP) and scripting the crushing defeat of the 15-year-old regime of Raman Singh. The Congress won 68 of 90 seats. And although there were other contenders too for the Chief Minister's post, Baghel was far ahead of them unlike in Madhya Pradesh and Rajasthan where there was intense tussle as to who would get to helm the states. Ashok Gehlot is Rajasthan's Chief Minister designate and Madhya Pradesh has Kamal Nath in the top post. They too will take oath on Monday. With Sunday's development, all three states in the Hindi heartland where the BJP lost power to the Congress now have Chief Ministers.